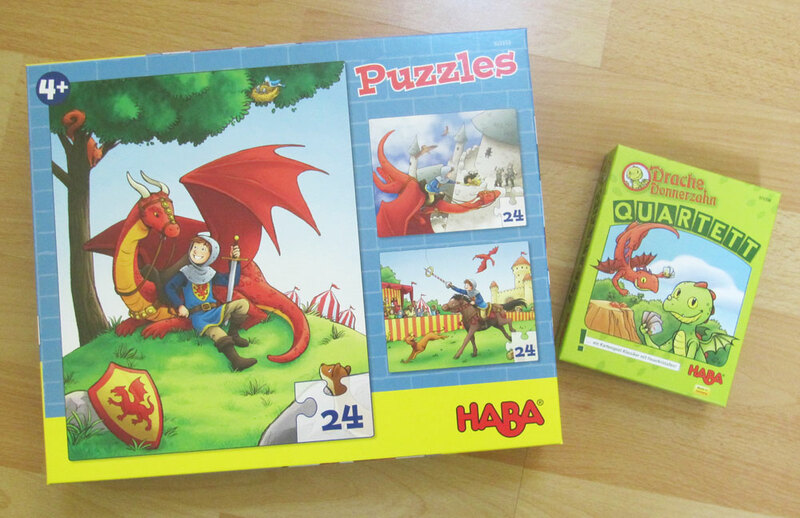 Yesterday a big package containing the latest games I did for Haba came in! 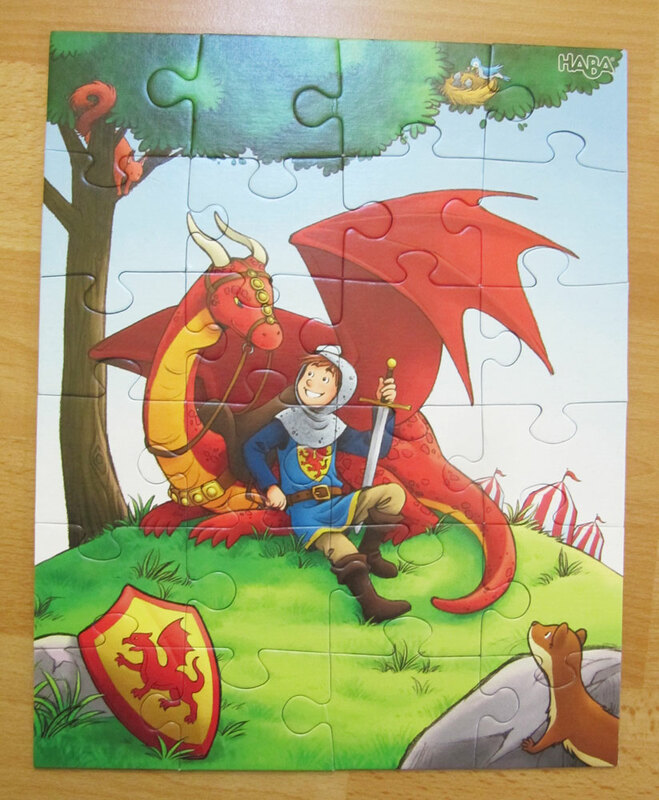 I worked on 2 projects for them this year, on the one hand a new card game featuring Dragon Thunder Tooth and a set of three puzzles much like the ones I did for Princess Mina, but with a boy and his dragon. 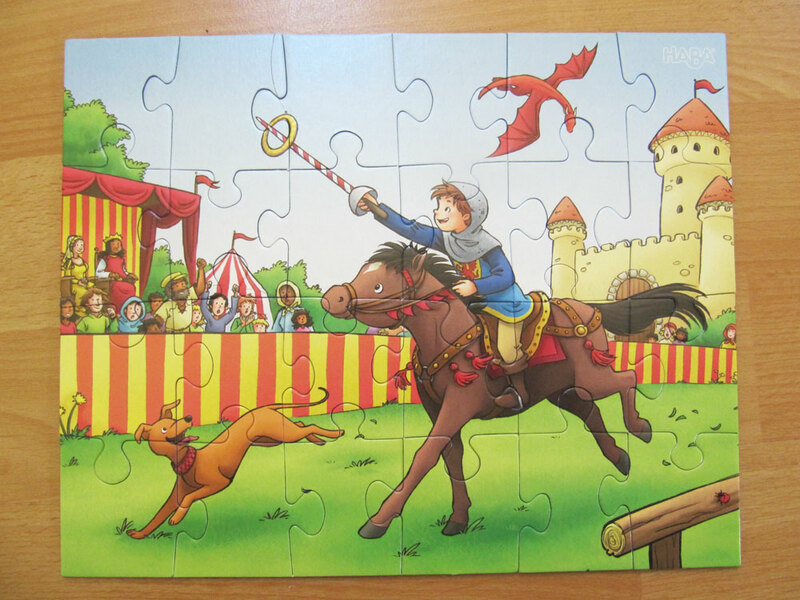 Let’s start with the puzzles. You might recognize the main illustration for that from our portfolio – it’s a painting I made back in 2013. 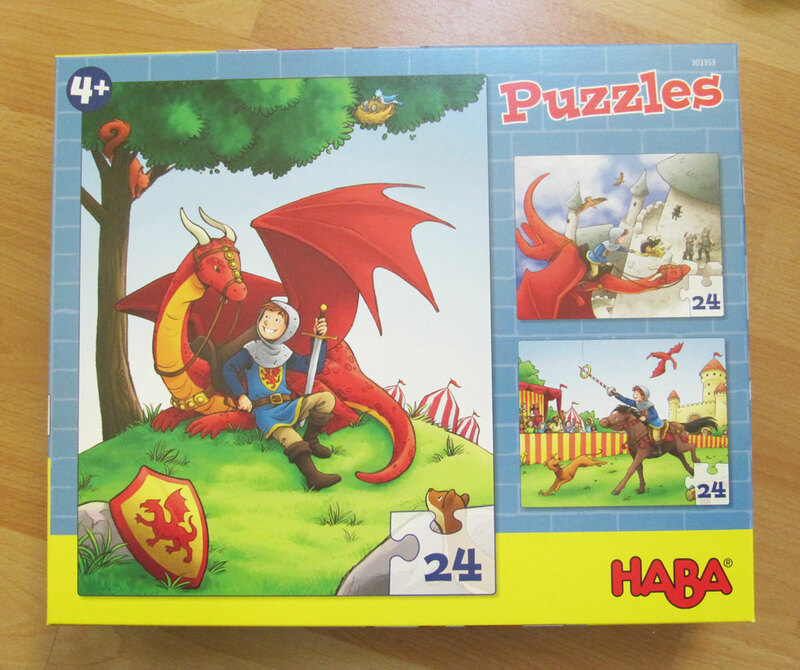 The people at Haba liked it so much that they wanted to use these characters for the puzzle set. The main image could be used just the way it was with a few more details added in. It was really cool for me to draw those two characters again. 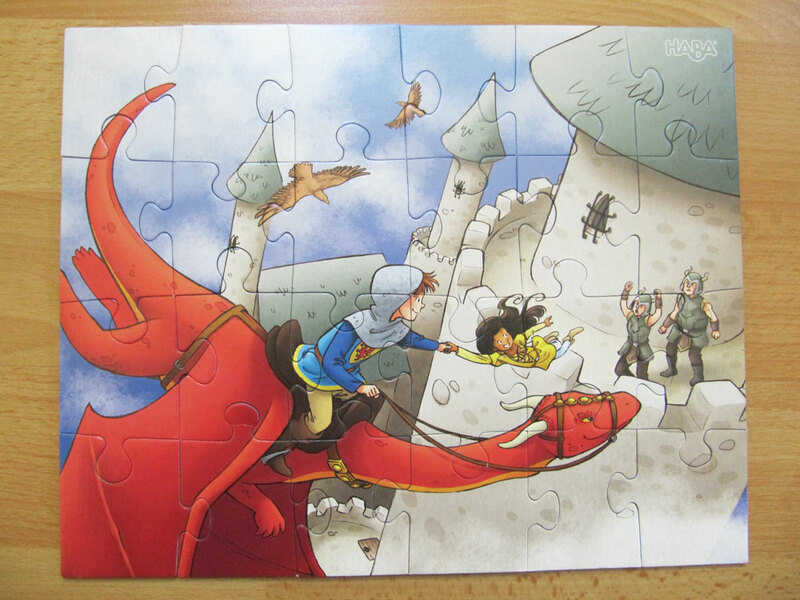 A little side note on the third puzzle: I was told to draw the knight / boy “rescuing” a princess from her tower or something like that, but instead of just having a passive princess I decided to have a bolder, braver girl who managed to escape from the guards all by herself, she just needed a ride to get off the tower. In my first sketch I actually had her standing on top of the two guards whom she knocked out by herself, but the editors thought that was a little too brutal for the target audience, even though they liked the idea. So – you might not be able to tell the whole story just from that single picture, but there it is. Let’s see those puzzles now! 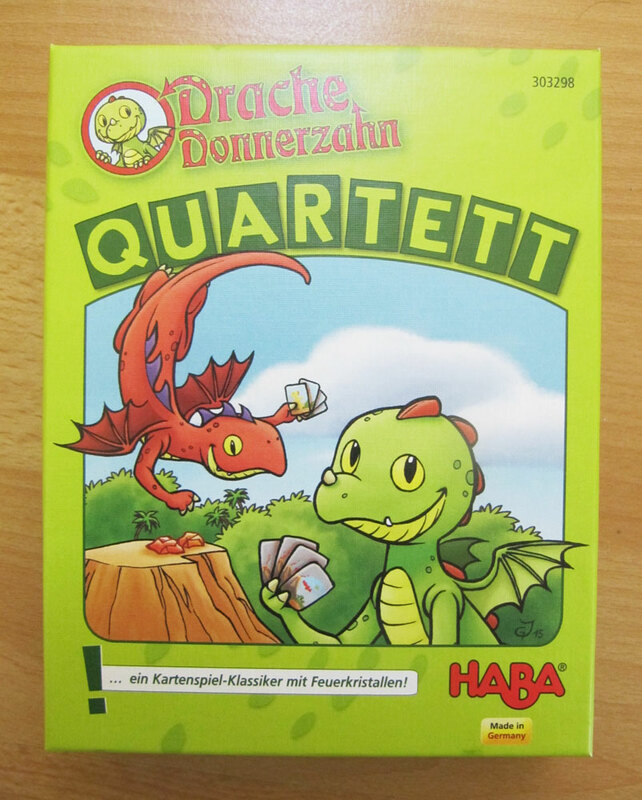 As for the second game, it’s a Happy Families game (it’s called “Dragon Rapid Fire Quartets” in English – I’m a bit confused about the name change here, but whatever) featuring the same dragons we already knew from the Dragon Thunder Tooth board game, plus 4 new dragons. 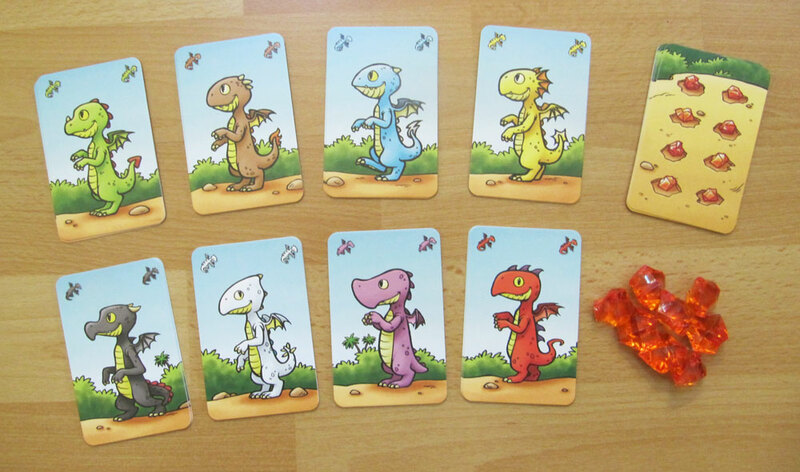 I’m a little sad that I had to change Fire Tails’ color from the original orange to brown, but it was to avoid confusion in the game. But I do love to draw these little fellas and I’m happy I could create new ones as well! I love dragons.